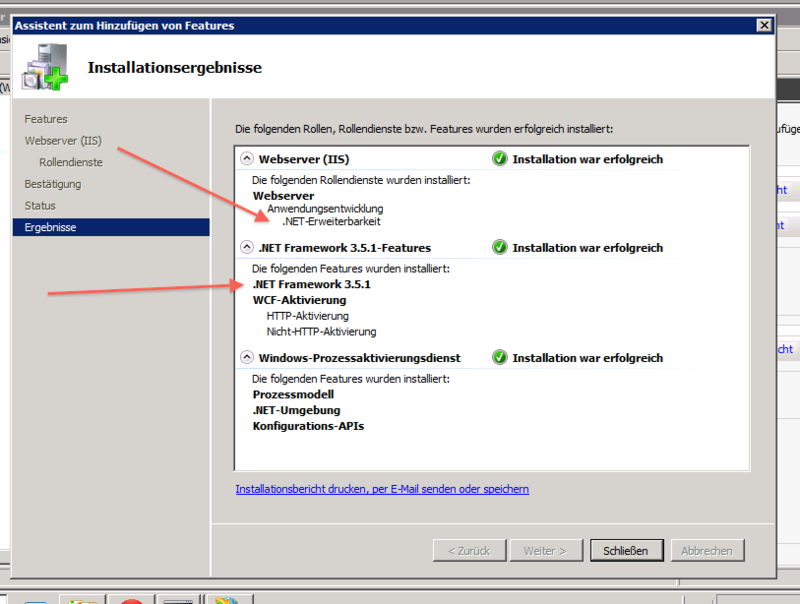 The other day I helped a client to install Railo 4 with IIS 7.5 on a Windows server. Their problem was that the Railo installer seemed to have worked fine (as Railo itself worked without any issues on the internal webserver port), but the IIS connection didn’t have to be setup at all. Handler “BonCode-Tomcat-CFM-Handler” has a bad module “ManagedPipelineHandler” in its module list. It turned out that the .NET Framework in the required version (3.5 or 3.5.1) wasn’t installed and that .NET Extensibility was missing. In fact, the server had just .NET 2 installed. Easy fix: I added the .NET Extensibility feature which itself has a dependency on .NET 3.5.1. A reboot of the server later (to be on the safe side) and re-running the Railo Windows installer and the problem was solved.